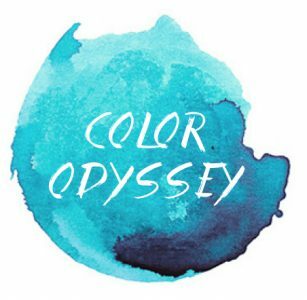 Color Odyssey – Travel. Photography. Color. Stories. Some unique and interesting things about Nepal that I learned on our first trip and scenes from my travels in watercolors & ink on paper. Nepal – Once is not enough! Nepal Tourism tagline that says, “Naturally Nepal – Once is not enough” holds absolutely true! From trekking up through a rhododendron forest, to ridge walking above 4000m with jaw-dropping views of the Annapurna Himalayas up close, to enjoying gorgeous sunrise views of the entire mountain range from a village on the foothills, to chilling in a resort on a hill overlooking Phewa Lake & Pokhara city, chasing the one horned Rhino on a jungle safari at Chitwan National Park, experiencing the living heritage city of Patan in a traditional Newari home, to devouring delicious momos, sekwa, Dal Bhat and other traditional food in Kathmandu, it was the most eventful, thrilling & enjoyable two weeks I’ve spent in any country, and I am definitely coming back for more! A stellar road trip and a science lesson, high up in the Himalayas! I remember the first time I saw Jupiter and its moons through a telescope that could fit in my backpack, I was spellbound! So when I got the opportunity to visit one of the highest astronomical observatories in the world that too in Ladakh, I was ecstatic and I wondered if we could see planets, stars or distant galaxies through the telescope at the observatory! To reach a place as isolated in the Himalayas on motorbikes requires a heart full of courage and a spirit of adventure, other than a map of course or you could end up in China! Crossing some of the highest mountains passes in the world on broken, sometimes non-existing roads or mere dirt tracks to lead the way, it’s a challenging bone-chilling ride. As we climbed higher it became cooler passing through breathtaking Himalayan scenery. Pristine white snow-covered mountain roads are a sight to behold but they’re a tough climb. Riding in thin cold air through wet & slushy ice on the road was a challenge and the potholes added to the bumpy ride. Adding to the excitement one of our motorbikes broke down on the slippery road a few meters from Chang La pass! Before we set out on our road trip through the Central Highlands of Vietnam, I was nervous about riding for the first time in a new country. It took me a while to get comfortable on the motorbike and let my eyes off the road to enjoy the scenic views. But after riding more than 1300 km through half of the country, I am convinced there is no better way to travel in Vietnam than on a motorbike! And the freedom of exploring a place riding on my own adds to the depth of my travel experiences. Starting from bustling Ho Chi Minh City in the South to riding through the Vietnamese countryside with gorgeous landscapes of the Central highlands and paddy fields, rivers and emerald lakes, cruising through the misty cloud covered hills at Hai Van pass to the historic UNESCO cities of Hoi An & Hue in Central Vietnam, with excellent roads & amenities, delicious flavorful food, fresh Ca-Phe (coffee) and friendly Vietnamese people, it was an awesome experience to ride through half of Vietnam and experience the local way of life. The thrill of riding a motorbike and the freedom of going anywhere, was a dream realized… leaving me with yet another reverie, of the higher mountains of North Vietnam! Surrounded by the misty blue Shan hills, Kalaw is a great place to relax, enjoy the view, other than cycling around exploring the town, to nearby monasteries, pagodas & the market. With beautiful views of the surrounding hills, it’s quite rewarding to spend time at the Buddhist monastery and see the daily life of young Buddhist monks who call it home. The most exceptional thing about the Intha people is the magic they weave with lotus fibers – Lotus textiles! A Buddhist symbol for purity the lotus flower is sacred in Buddhism and the textiles were first made for a Buddhist monk’s robe. On the banks of Hooghly, in North Kolkata is a labyrinth of narrow lanes, older than the city and full of vibrant color and art, Kumortuli – the potter’s colony, where idols of Gods and Goddesses are made from scratch for the Hindu festival of Durga Puja. Various artists work on different stages of sculpting, painting & decorating the idol of Goddess Durga in the workshops here. Deeply engrossed in the making of the Goddess, they look meditative. This post is to celebrate a decade of travelling and blogging; a visual treat for your eyes and taste buds, a creation inspired by my love for travel, food and photography – Blue Kheer – a sweet rice pudding from India! The beautiful blue color is from the petals of a Southeast Asian – Butterfly Pea Flower. Charang is a delightful little village near the Indo-Tibet border in Kinnaur – the less explored & non-touristy part of Himachal Pradesh in India. The Kinner Kailash Parikrama is considered incomplete without receiving blessings at the ancient 11th century Charang monastery also called the Rangrik Shungma – the most holy temple of Kinnaur. Other than mountain goats, sheep, horses and Yak that are commonly seen grazing around the pastures, the trans-Himalayan plateaus of Ladakh are home to several rare and endangered species of mammals and birds. The jaw-dropping scenery of Ladakh is mesmerizing enough and the exotic animals add magic (and perspective), to the scene! Countless shades of blue change with the falling light, turquoise blue waters merge into cobalt blue cloudless skies, reflecting in the ripples of water with a mosaic of colorful stones shining underneath; the Ladakh Blues! Ladakh is famous for it’s stunning landscapes, peaceful & heartwarming people, dangerous mountain passes, extreme weather conditions, pristine high-altitude mountain lakes, unique wildlife and gorgeous ancient monasteries, but in this remote land there lies another hidden treasure thousands of years old…the prehistoric Rock Art paintings – some of the earliest expressions of our species, our artistic and cultural beginnings! Kinnaur is the most beautiful and least explored part of the Himalayas in Himachal Pradesh, India. Surrounded by harsh mountains, Charang Khas, a pretty little village at an altitude of 3500 meters in Morang, Kinnaur, is accessible only by foot, a trek through Thangi and Lambar. River Ganges is the soul of Varanasi. The Ganges rises in the western Himalayas in the Indian state of Uttarakhand, and is the longest river of India as well as the second greatest river in the world by water discharge. In Hinduism, river Ganges is considered sacred and personified as goddess Ganga. A boat ride over river Ganges at sunrise is the best way to experience the ghats. Ladakh – Ride of a lifetime! Did you know the Burmese use tea leaves as a food ingredient? Other than brewing a tea, the leaves are fermented to make a special Burmese tea-leaf salad and its yum! Myanmar offered a varied set of experiences from historic temples to nature hikes in the hills and boat rides exploring life on a lake, but it was the delicious Burmese food, readily available salads (and avocado!) and the people who stole my heart!